Some of the most popular blogs out there aren’t really blogs, but photo galleries. An image speaks a thousands words never rang so true as for blogging. There was some fake news article claiming a person reading online had shorter attention spans than a goldfish. The article has been debunked, but the primary message of keeping people’s engagement online rings true. Images are essential for breaking up text, giving a better impression of what it is you’re talking about and making your site look appealing. Should I use my own images? Even if you’re no Mario Testino, don’t be put off using your own photos. It’s a fine line between a professional and personal. But your audience wants to feel your blog is authentic, so don’t be scared to include images of yourself where appropriate. Good quality photos that paint a picture are worth so much more than generic website shots. I’m not a photography pro and I don’t own particularly fancy equipment (my phone is a cast off from my husband with a broken screen). I’ll do a follow up post about simple photo editing soon. Even if you’re not a pro, use the best, non grainy, images which are consistent with your brand. That means trying to stick to a colour palette (bright and funky, soft and feminine, fresh and vibrant… it’s up to you) and style. Should I use other people’s photos? I use stock images from sites pixabay and unsplash and credit to the photographer wherever I can. 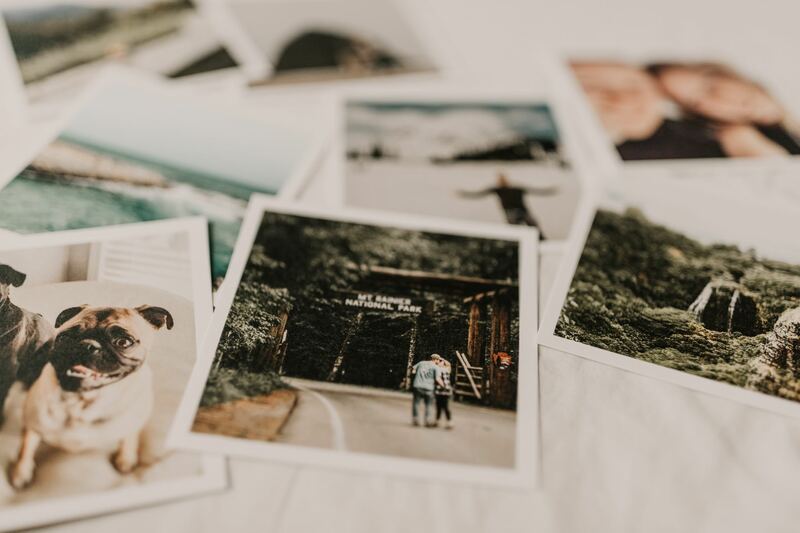 You can also pay for stock photo services with brands like Shutterstock, or reach out to a professional photographer, but if you’re just starting out, chances are it’s not worth it. Some photographers may be very happy to share their images, as long as a credit to them is included. So if you come across a great image, it might be worth checking. What about copyright for photos which I don’t own? I can’t stress how important respecting copyright is. If you don’t use your own image, you need to be sure you’re legally allowed to use it. Even if your blog isn’t making a financial profit, you need to be very, very careful here. The same applies for photos you’ve stumbled across on Trip Advisor, Facebook or social media. If they’re not explicitly listed as copyright free, don’t use them without checking first. To add a credit you need to check directly with the public relations firm / company / photographer and make sure the credit is featured prominently. e.g. in the photo caption (as above Photo: David Grandmougin). If you do run into trouble and someone reaches out to tell you so, then remove the offending image immediately and apologise to the photographer / company as soon as possible. You might not need to remove the image, just edit the photo credit or include a link. In any case, it’s better to be safe than sorry. I like to break up text regularly so my rule is to make sure a photo is always visible, or just visible. In practice, this means an image after every 6-8 short paragraphs. Basically I don’t want my reader to be confronted with a whole page of block text . I also like to include an image after my initial introduction (in this case the polaroids image above). I’m a WordPress girl and here are some very, very basic steps to adding a photo. Once you’ve added an image into your post, you can right click to edit again, change the alignment etc. For consistency I use the custom size function to keep my photo width to 800 pixels, and I don’t worry too much about the height, but I prefer to stick to horizontal photos wherever possible. A lot of sites stick to 600 width x 500 height, so if you’re unsure this is a good starting point. I position my images centrally, as this works the easiest and looks the best in terms of spacing I reckon. 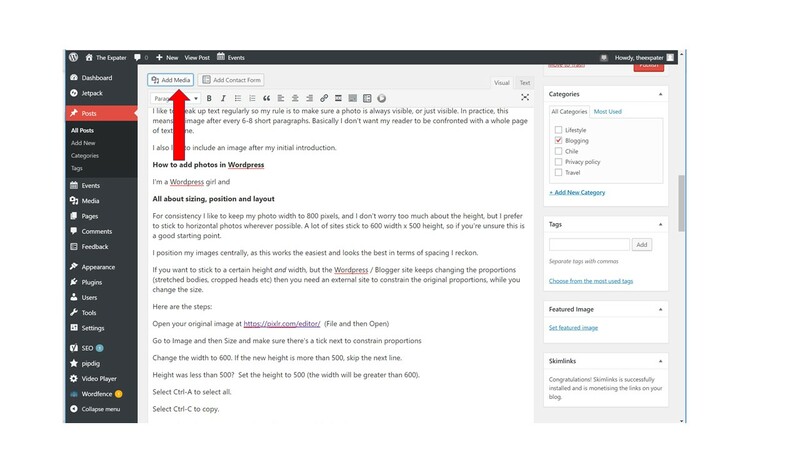 If you want to stick to a certain height and width, but the WordPress / Blogger site keeps changing the proportions (stretched bodies, cropped heads etc) then you need an external site to constrain the original proportions, while you change the size. Change the width to 600. If the new height is more than 500, skip the next line. Height was less than 500? Set the height to 500 (the width will be greater than 600). Select Ctrl-A to select all. Go to ‘File’ and ‘New Image’. Set the width to 600 and the height to 500. Now ‘File’ and then ‘Save’. The quality slider should be around 80-90 for online use (if not, change it to 80). When you add your photos be sure to fill in the ‘alternative text’ section. This is designed to pop up when the image can’t be read, for example on slow loading laptops / mobiles. It also contributes towards ‘SEO juice’ so think of it like another tag. For example when I wrote a post about my favourite toners, I used the alternative text ‘best facial toners’, as I knew my readers would be searching for this term. What is a feature image? 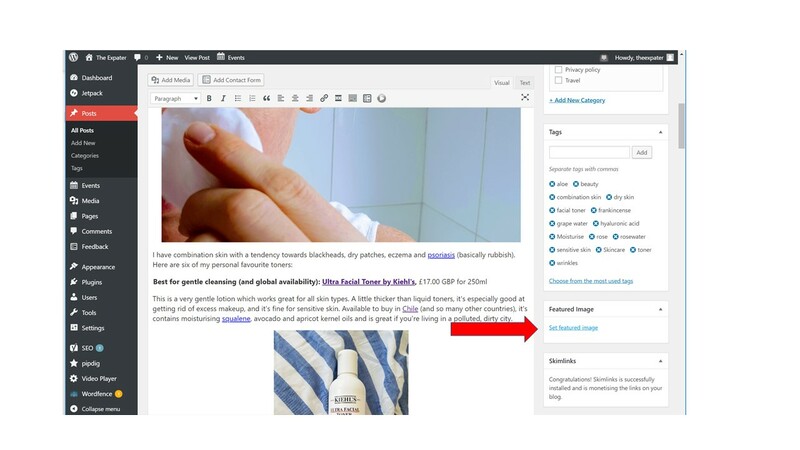 A feature image is the image which will show on your homepage. 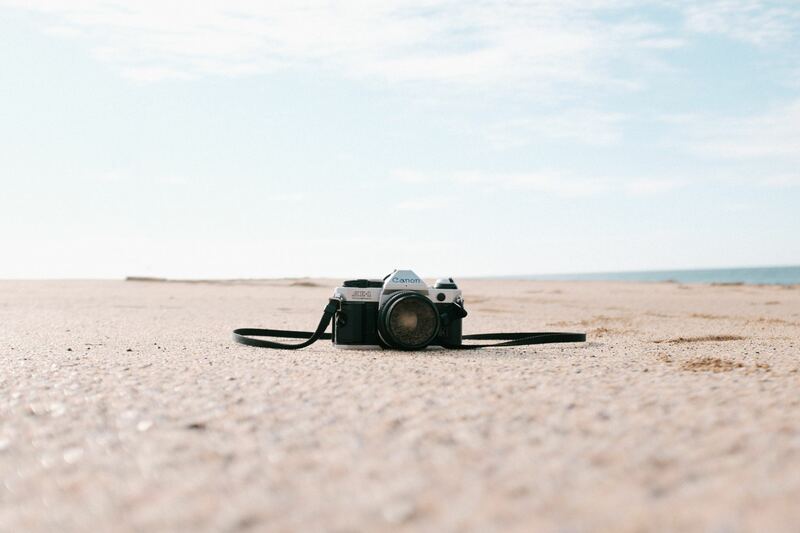 Choose this wisely – you want the image to be captivating and fit with the other images on your site. So if your site is all pink pastels and soft greys, perhaps steer away from posting a random bright red photo. Even better, keep all your photos consistent in style. 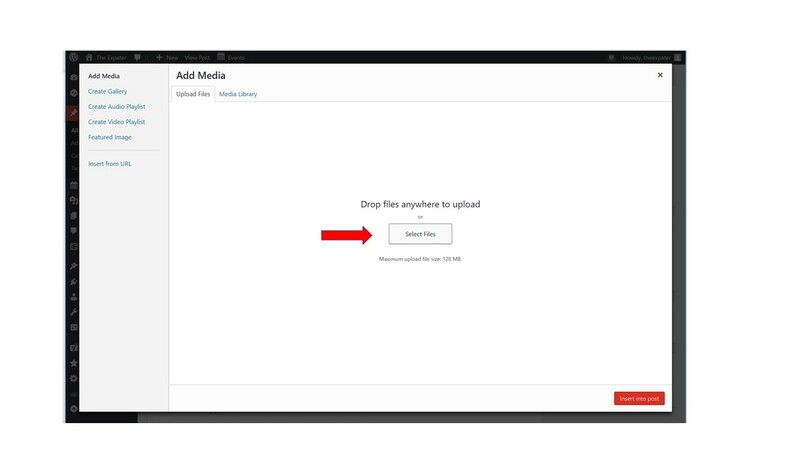 You don’t need to upload this photo again, it will now be saved in your ‘Media Library’ when you click to add an image. 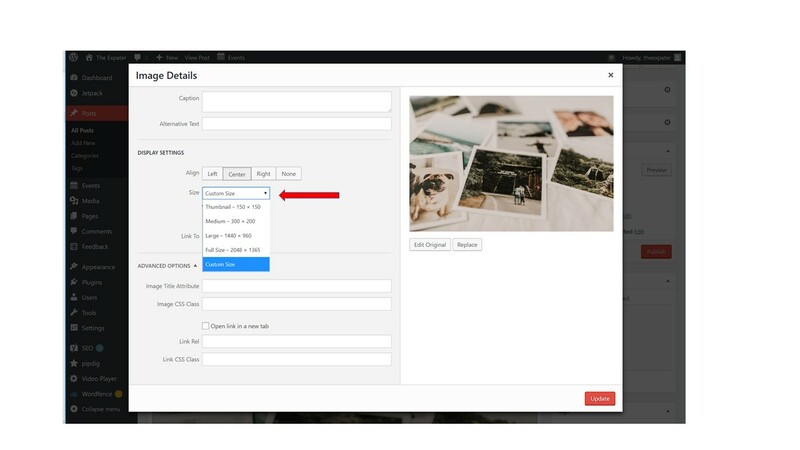 Be sure to fill this feature image form in or WordPress will choose the first photo in your post for you automatically, and it won’t be scaled, tagged etc. I hope this helps! If you have any queries about this or anything else about starting a new blog, leave me a comment below. 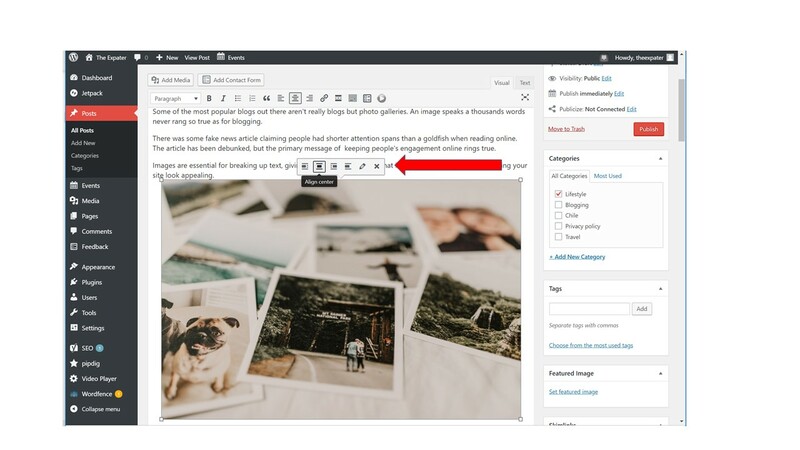 If you’re just starting out, you might also like to figure out how to structure your blog first.